Which One Are You Feeding Most in Retirement? You may have heard the parable about the Two Wolves. A grandfather is teaching his grandson about life. These wolves follow us into retirement. While we may be retiring, the wolves are not. In some ways, they are stronger and more important. Retirement is an emotional experience. There’s lots of opportunity for the first wolf in retirement. I see it often in people who are in the transition to retirement, particularly when it’s earlier than they planned. There’s often a shock to the system in adjusting to the loss of a clear professional identity that’s been there for many years. When people cling to their past self-identity too long, it feeds the first wolf. There are many areas of life that we do not have much control over. However, we do have control of our attention. There’s a danger in focusing more on the past than on the present or the future. Concentrating too much on the past can lead to anger, envy, regret, self-pity or feelings of inferiority – a veritable buffet for Wolf One. Like humans, wolves vary in their level of strength and capability. Wolf One, the negative one, is likely to be much stronger than Wolf Two. Roy Baumeister and his colleagues found that “bad is stronger than good”, meaning that negative events tend to have more powerful effects than good ones. One explanation is that, from an evolutionary point of view, it has been more valuable to be keenly aware of threats. Barbara Fredrickson, a psychology professor at the University of North Carolina, notes that these threats and negative emotions have a narrowing effect on us, constraining our openness to new ideas, relationships or activities. In contrast, Fredrickson has found that positive emotions, like those generated by feeding Wolf Two, have a broadening effect, opening us up to new possibilities and a greater willingness to explore and try new things. In addition, Fredrickson and her colleagues found that these positive emotions promote the building of critical physical, cognitive and relationship resources, which in turn, help to maintain resilience and sustain well-being, all of which are essential in retirement. If Wolf One is indeed stronger, then we have to work a bit harder to keep Wolf Two well-nourished. What can you do to feed Wolf Two? Try this exercise at the end of each day. It only takes a few minutes and can be done on your commute home or even while brushing your teeth. Ask yourself: What were the good things that happened today? Stay with it until you’ve identified at least three. After a while, you’ll find it trains your brain to be more alert to the good that’s usually all around us. Look for opportunities in your day to do at least one small good thing for someone else, family, friends or even strangers. Experiment with simple things like paying for the person in line behind you. (Just to be clear, this works much better in line at Starbucks than at a Tesla dealership). One of our daughters does this regularly and we’re encouraging our 16 year-old son to try it. (For now, I’m choosing to ignore his response of “I’m grateful for you leaving my room and leaving me alone”). Before your day starts simply list three to five things that you’re grateful for. Challenge yourself to come up with something new and not just a list of the usual suspects. When Wolf One inevitably appears, call it out. The most effective way has been found to label those emotions, rather than trying to suppress them. Wolf Two loves it when we’re open to trying something new. Identify one thing you’ve really been wanting to try but haven’t started it yet. It doesn’t have to be climbing Everest by next Thursday. Is there a class you’ve been wanting to take? Something you’d like to begin? Yoga? Pilates? Meditation? A book on a topic you’re curious about? Or how about trying a new restaurant this weekend with a new cuisine that’s different from your old favorites (they’ll still be there next week). 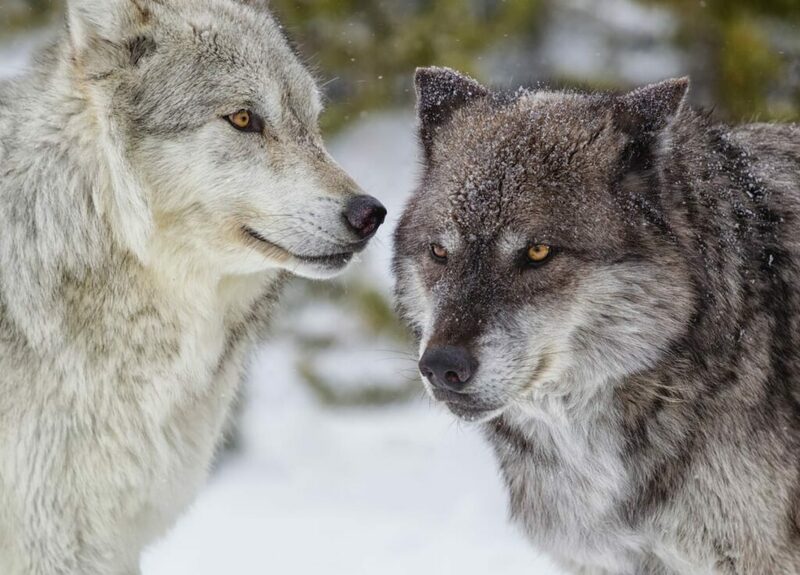 You can take control of how satisfying your retirement will be by feeding the right wolf and starving the other one.